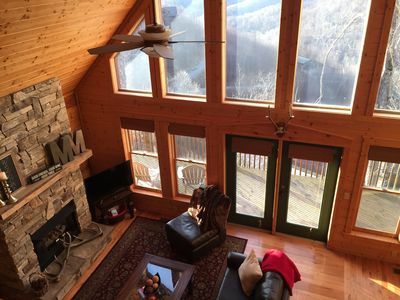 If the mountains have been calling you, this is the place to go! Come beat the heat this summer! Enjoy peace and quite with nature. From the deck that almost wraps the entire home you can hear the stream that runs on the property and see deer that come to graze in the morning. Take a nap there or read a good book, go for a horseback ride or a dip in the neighborhood pool! Whatever you do here, it will be memorable. 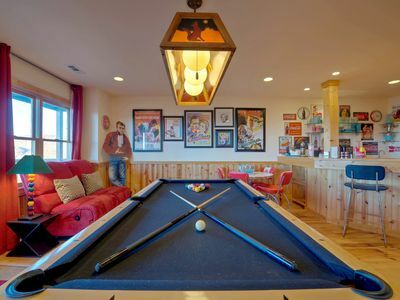 The location of this property is incredible. 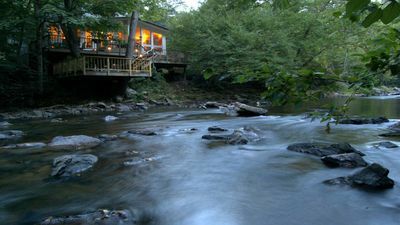 You are just north of Asheville; being close enough for day trips to all of Asheville’s offerings and happenings. 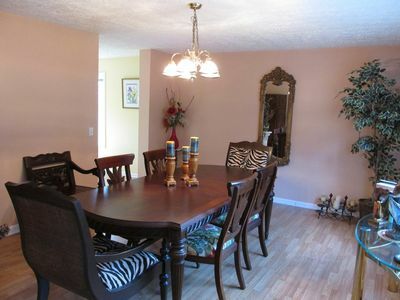 The property is in the gated community of Wolf Laurel, which is spectacularly maintained. 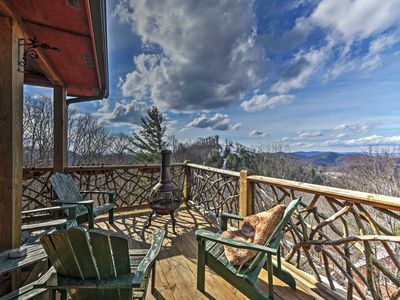 It is near the top of the mountain at 4700 feet elevation with great seasonal views. 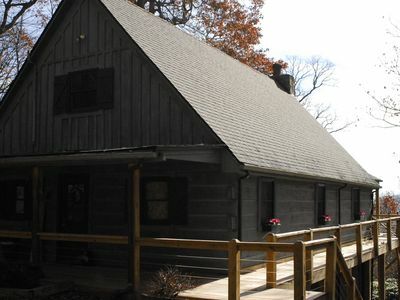 It is within a short drive (2-5 minutes) of numerous hiking trails including the famous Appalachian Trail!! 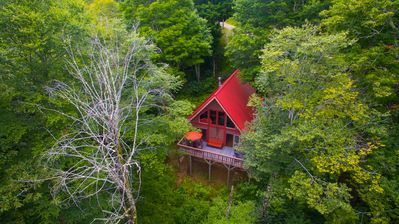 This cabin is simply surrounded by natural beauty. 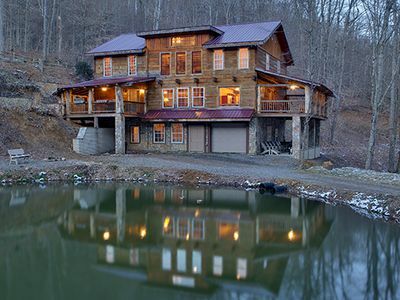 This is a 2,000 square foot home with open floor plan that sleeps 8. 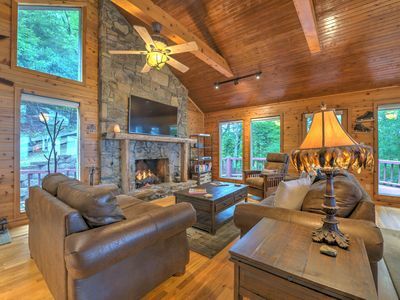 Inside you will find a Great Room with plenty of seating, a TV, DVD and Stereo System along with a Grand Stone Fireplace flanked by sliding Glass Doors that open onto the Large Upper Deck. The fully functional Kitchen is great for heating up leftovers or making amazing meals! 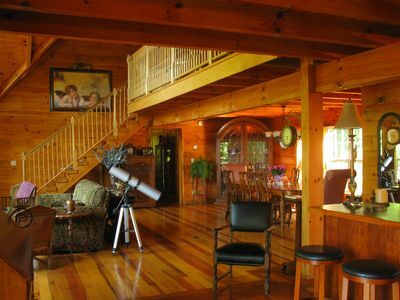 It's complete with Stove, Oven, Refrigerator, Microwave, Blender, Toaster, Keurig Coffee Maker and Grill outside on the lower deck. There's a full-sized Laundry too! For sleeping, you can't go wrong with the romantic King Bedroom or a cozy Queen Bedroom on the entry floor. In the Loft there is another Queen Bed and two Twin Beds. All Linens, towels, Cable and WiFi are included. 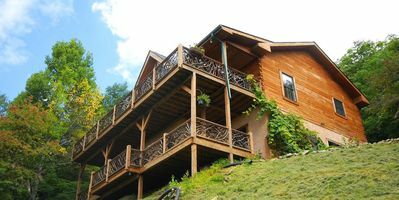 Beautiful mountain lodge, great for large families, groups, & retreats. 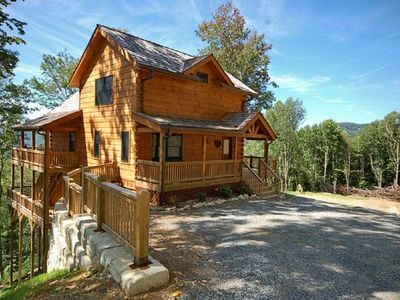 The Jennifer- Beautiful Mountain Retreat! 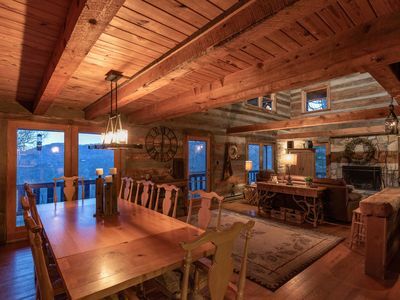 An amazing upscale cabin with mountain views, hot tub, and more! Includes a Biltmore Pass!! Top of the World! 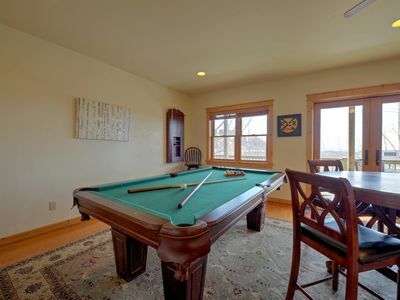 Hot tub, game table, Million Dollar Views! 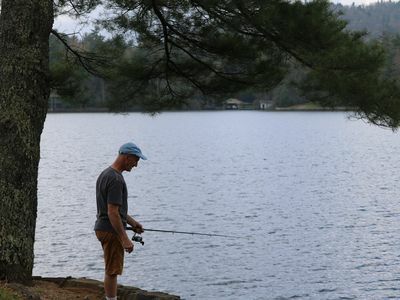 Includes a Biltmore Pass! Bici della Nonna - Bicyclists Heaven! In the famous Wolf Laurel! 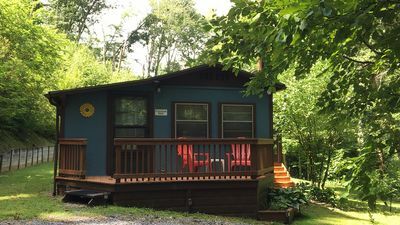 Log Cabin w/ Sauna - 2 Mi to Wolf Laurel Resort! 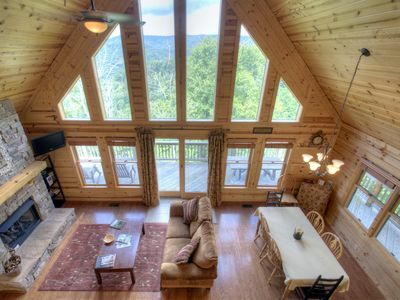 Looking for a mountaintop escape? Here! 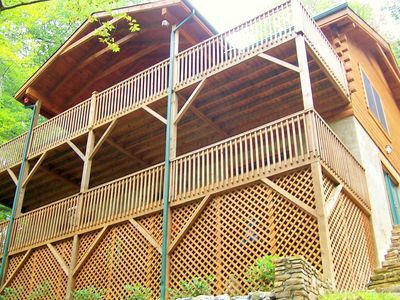 Long range views, hot tub, game room, & more! Includes a Biltmore Pass! 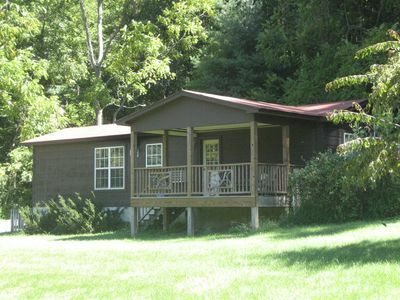 5 Bedroom Spacious Cabin With Amazing Views, Pool Table, and Pet-Friendly! 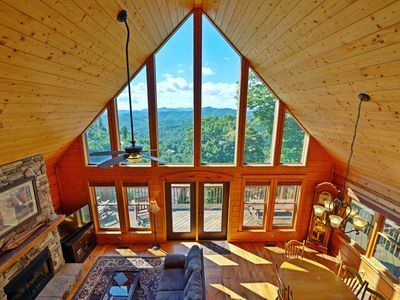 Includes a Biltmore Pass! 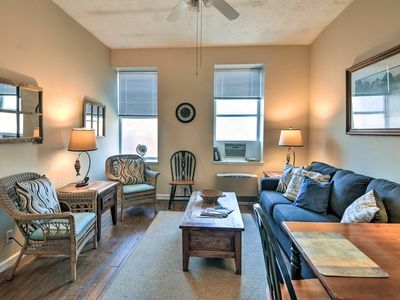 Mars Hill Apartment E - Adjoins the University!